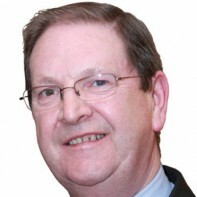 Outgoing Fianna Fáil TD Michael Ahern is running for re-election in Cork East. Ahern was first elected to the Dáil in 1982 and has been re-elected at every election since, topping the polls in 2007 with almost 20 per cent of first preferences. During his time in the Oireachtas, he has had spells as Minister for Science (1992-93) and Minister for Trade and Commerce (2002-2007). Ahern holds a B.A.in Economics, Politics and Psychology from UCD.